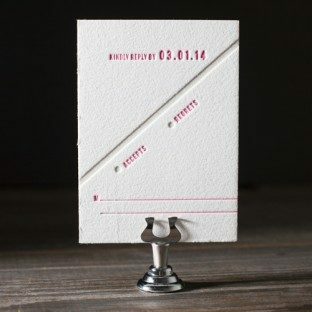 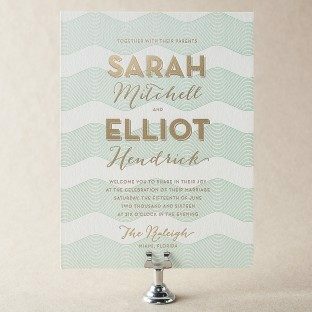 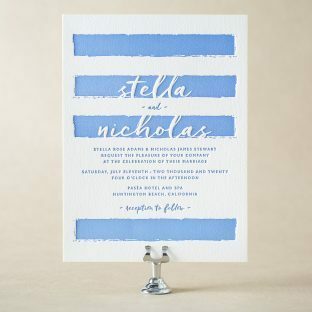 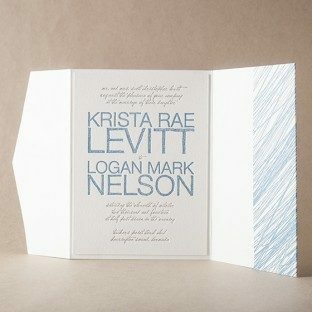 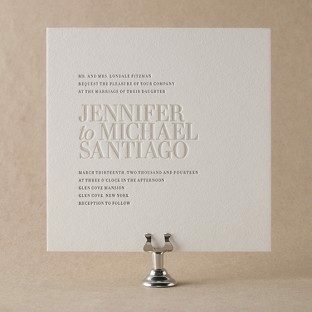 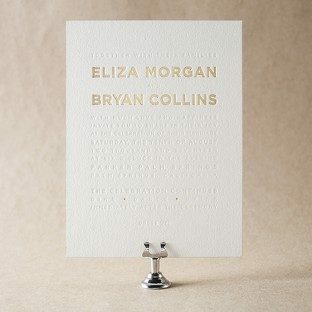 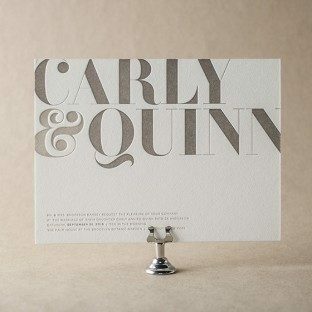 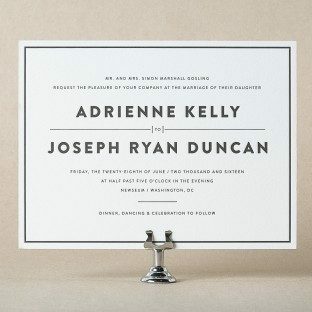 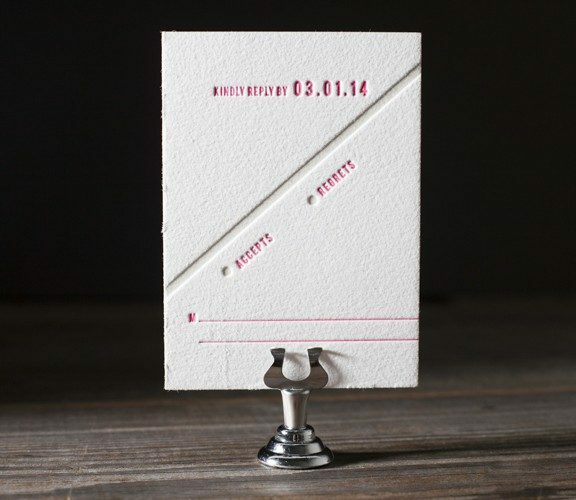 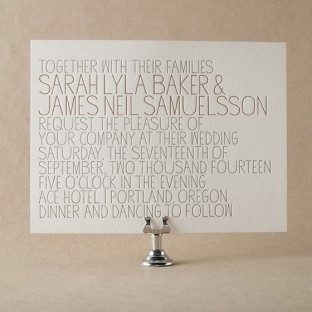 Sleek, simple lines fuse seamlessly with bold minimal type for a letterpress wedding invitation with some serious graphic impact in this design from Tara Hogan. 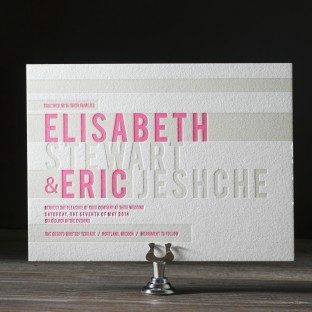 New Horizon goes where no custom letterpress has gone before (and gets there with style to spare). 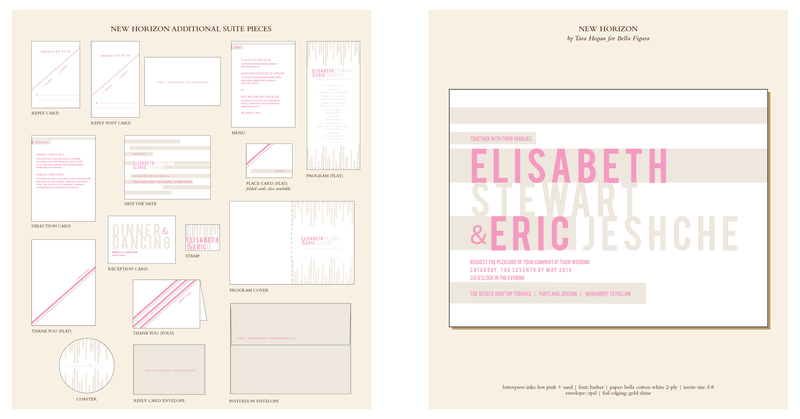 View additional pieces in the New Horizon sample suite. 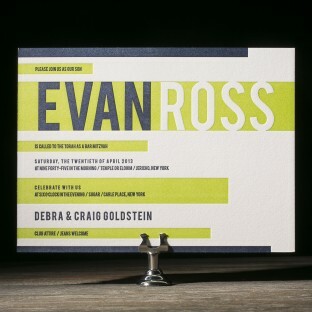 Bold lines and a modern font add to the charm of these modern Bat Mitzvah invitations. 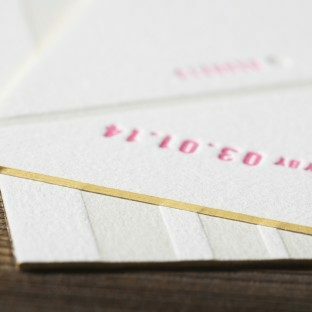 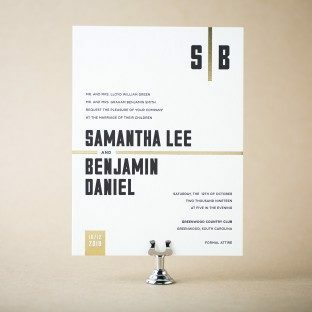 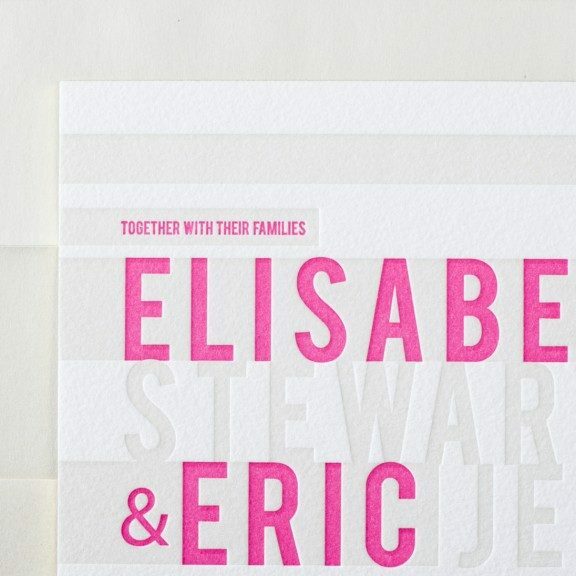 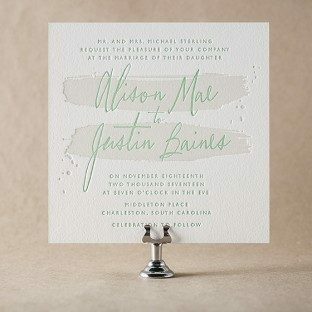 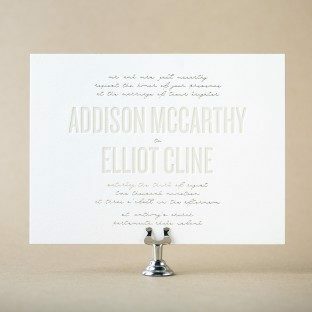 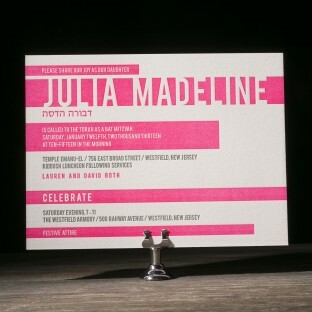 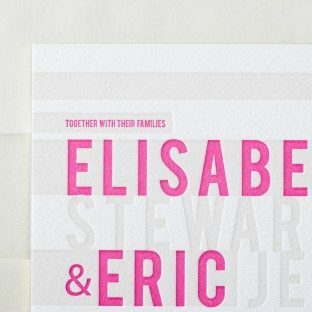 Personalized with Hot Pink and Pewter inks, these invitations feature Hebrew lettering and oversized typography. 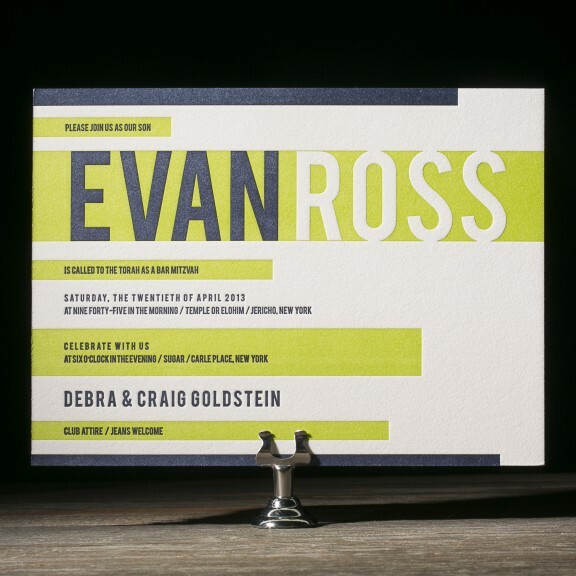 Masculine yet youthful, this New Horizon Bar Mitzvah invitation is letterpress printed in spring green and prussian blue on our ultra thick 2-ply bella cotton paper.